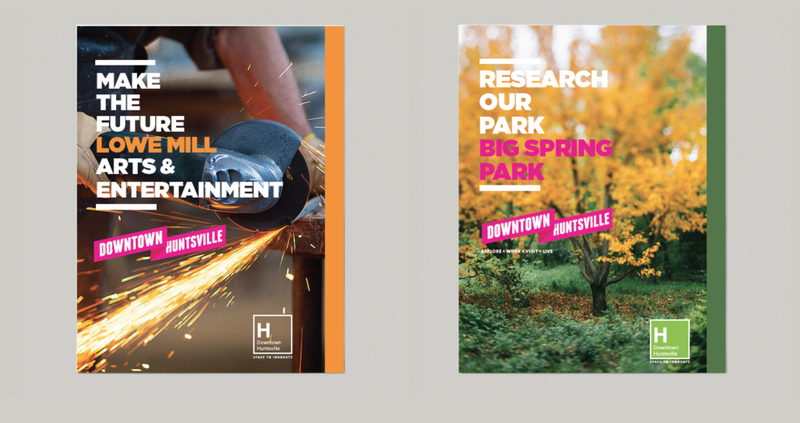 Matter was hired to craft the new face of Downtown Huntsville in 2013. The city center sought to tell its story of innovation and tech through an identity that would attract entrepreneurs and young professionals on a national scale, seeking to compete with Austin and the San Francisco area for talent and recruitment. 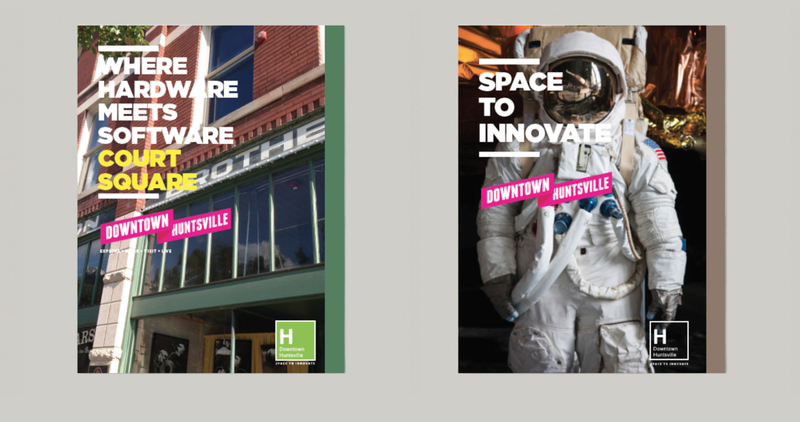 After site visits and a series of in-depth meetings with locals and businesses, Matter created a new face of Downtown Huntsville in just six weeks. Matter is proud to have helped launch Downtown Huntsville as one of the country's most progressive locations.